Hong Kong for the Tourist where to Go and What to Do. Plus a few interesting videos to watch. Your next Adventure. 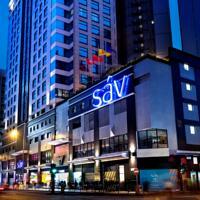 Hotel Sav 4-star hotel . Hong Kong Island is the island that gives the territory its name. Although it is not the largest part of the territory, it is the place that many tourists regard as the main focus. The parade of buildings that make the Hong Kong skyline has been likened to a glittering bar chart that is made apparent by the presence of the waters of Victoria Harbour. Kowloon, Hong Kong – Metro access Accommodation. Victoria Peak. Peak Tower serves not only as an observation platform, it also doubles as a shopping mall offering shops, fine dining and museums. The Peak Tram runs from Central to the bottom of the Peak Tower. Although views of Kowloon and Victoria Harbour can be stunning, be prepared for the view to be spoilt by air pollution. There is no point in spending extra money to visit the observation deck of the Peak Tower. There are a number of nice walks around the Peak Tower that offers similar, if not nicer, views of all sides of the island. The Victoria Peak Tram, Hong Kong. I’ve got a chance to ride one of many historic public transportation in town. This tram travels at approx. 15-20 km/h at 20-40 degrees angle and heads directly to The Peak Tower. There are a variety of museums in Hong Kong with different themes, arguably the best museum is the Hong Kong Museum of History in Kowloon, which gives an excellent overview of Hong Kong’s fascinating past. Not the typical pots-behind-glass format of museums you find elsewhere in China. Innovative galleries such as a mock-up of a colonial era street make history come to life. Kowloon also includes a number of other interesting museums such as Dialogue in the Dark, the International Hobby and Toy Museum, Museum of art, Hong Kong science Museum and Hong Kong Heritage Discovery Centre. Central also has its share of museums including Dr Sun Yat-sen Museum, Hong Kong Museum of Medical Sciences, which shows how the heathcare system evolved from traditional Chinese medicine to modern Western medicine, and the Visual Arts Centre. Hong Kong Disneyland Resort opened in September, 2005. It is on Lantau Island, about 12km east of Hong Kong International Airport. The resort also features a Disneyland park, two resort hotels and a lake recreation centre. Though significantly smaller in size than other Disneyland-style parks elsewhere, the park is undergoing an expansion to offer more attractions. Ocean Park is on the southern side of Hong Kong island, and is the park that grew up with many local people. 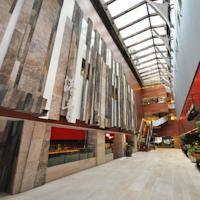 May we Recommended for you in Hong Kong the above selection of places to stay at Accommodation. Mystic Manor at Hong Kong Disneyland Full Experience with Exterior, Queue, Pre Show and FULL Ride. Mystic Manor experience from Hong Kong Disneyland. Video begins entering Mystic Point, exploring the queue, meet Lord Henry Mystic and Albert in the full pre-show, enjoy the full ride though, and check out the gift shop! Hong Kong Street Food in Mong Kok. Street Stall. Dai Pai Dong. Cuisine plays an important part in many peoples’ lives in Hong Kong. Not only is it a showcase of Chinese cuisines with huge regional varieties, but there are also excellent Asian and Western choices. Dim sum is possibly the best known Cantonese dish. Served at breakfast and lunch, these delicately prepared morsels of Cantonese cuisine are often served with Chinese tea. Siu mei is port roasted over an open fire or a huge wood burning rotisserie oven. With the addition of a slightly crispy honey sauce layer, the final taste is of a unique, deep barbecue flavour. Congee is a thin porridge made with rice boiled in water. Served at breakfast, lunch or supper, the best version is as soft as “floss”, it takes up to 10 hours to cook the porridge to reach this quality. Noodles, Wonton noodles are dumplings usually made from minced prawn but may contain small amounts of pork. As with the rest of China, tea is a popular beverage in town, and is served at practically every eatery. Chinese teas are the most commonly served, though many places also serve Western-style milk tea. Lan Kwai Fong (Central), Wanchai and Knutsford Terrace (Kowloon) are the three main drinking areas where locals, expats and tourists mingle together. Berlitz: Pocket Guide (Berlitz Pocket Guides). Hong Kong is an intoxicating place – exciting, mysterious and glamorous, there’s nowhere quite like this tiny corner of China. Berlitz Pocket Guide Hong Kong is a concise, full-colour travel guide to this city, packed with useful facts, inspiring photography and handy tips to help you uncover the best sights and experiences. It tells you everything you need to know about the main attractions on the Island, as well as Kowloon, the New Territories, the Outlying Islands and Macau. Handy maps on the cover flaps help you find your way around, and are cross-referenced to the text. To inspire you, the book offers a rundown of the 10 top attractions in the area, followed by an itinerary for a Perfect Day in the city – where to eat dim sum, check out the local markets, enjoy a night out, and much more. The What to Do chapter is a snapshot of things to do while here, including arts, entertainment, horse-racing, night cruises and – of course – shopping. In addition, there are carefully chosen listings of the best hotels and restaurants and an A-Z of all the practical information you’ll need.